The Muslim Council of Britain today condemned the massacre of Palestinian civilians protesting the move of the United States embassy to Jerusalem, and the expulsion of Palestnians from their homes 70 years ago. 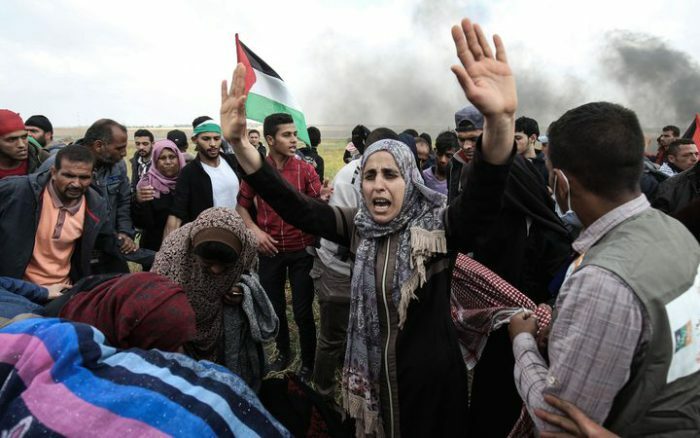 Civilians took to the streets to protest against the move by the US government of their embassy to Jerusalem. 55 were picked off by Israeli snipers, with 2700 injured. I hope our government condemns these actions in the strongest possible terms. That this massacre took place on the anniversary of the ethnic cleansing of Palestinians from their homes 70 years ago only underscores the realities of this new Apartheid.